Packed with photographs, illustrations and maps of Paris the guide includes in-depth coverage of Paris's unforgettable sights from the world famous Eiffel Tower and Louvre gallery, to the artistic Montmartre and atmospheric Cimetie`re du Montparnasse, unearthing the best of the city's stunning architecture, phenomenal museums, spectacular art galleries and beautiful parks in between. You'll find 3D aerial views of Paris's most interesting districts, cutaways and floorplans of all the major sites, and detailed listings of the best hotels and restaurants in Paris for all budgets. The guide includes four 'Great Days Out' in Paris and extensive practical information and insider tips from shopping and entertainment to choosing the most appetising French cuisine. 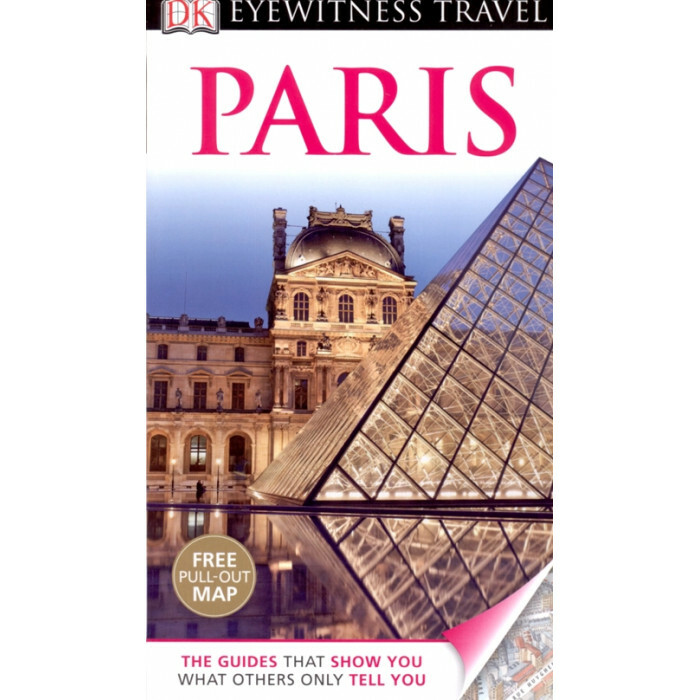 Whether you are shopping Parisian-style on Avenue Montaigne, strolling through Paris's less-explored districts on one of the guide's specially devised walking tours or exploring the richly designed Gardens of Versailles, the DK Eyewitness Guide to Paris is indispensable.